The 2009 list has been decided by the seven coaches. We will be running a new Spring sport everyday, so make sure you come back! We can’t be the best at everything—but we certainly hope we’re never the worst. 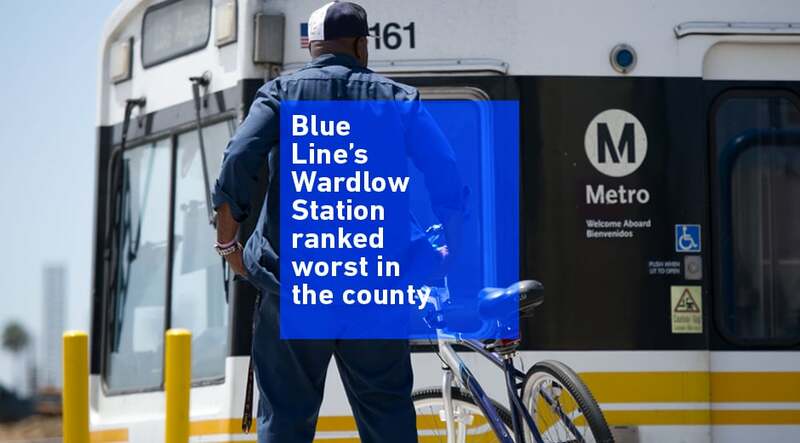 Unfortunately, one of our own was called just that as the Wardlow Station, part of the Long Beach stretch of the Blue Line, was named the worst Metro station in the county. What this points to is not just a need to reexamine the connectivity of North Long Beach—in the words of 7th District Councilmember Al Austin, “This is yet another reason why Long Beach needs a voice at the MTA Board table”—but the Blue Line as a whole. LA Metro overall sat right in the middle, with an overall grade of C.
As mentioned, MUNI’s Market Street and Church Street station scored a chart-topping A+ thanks to a near-perfect walkability score and a high rate of transit use and zero-vehicle households in a half-mile radius around the station. No MUNI station received a failing grade, though the Third Street and Marin Street station received a D, the system’s lowest score, for lack of walkability and amenities. San Francisco’s Powell Street BART station scored a high for walkability and levels of ridership while the South San Francisco BART station scored low primarily for low usage by residential riders and limited access to amenities. The Santa Clara VTA’s Japantown/Ayer Station performed the best system wide, receiving a B+ from the researchers, while the Middlefield Station, located in a low-density area toward the edge of the system’s service area scored low across all indicators. San Diego’s Gillespie Field Station, located in a car-dependent area, received an F- scoring poorly across the board. The Los Angeles area’s best-scoring Station is LA Metro’s Westlake/MacArthur Park station, which scores high on diversity of destinations, walkability, transit access, and affordability, but gets a poor safety score because of crime. Sacramento’s Longview Drive and I-80 station is next to a major interstate, and is used for park-and-ride services. But it is the region’s lowest-scoring area in terms of fostering a vibrant transit neighborhood, with very low train use among local residents and workers. The San Joaquin Valley is California’s fastest-growing region, but lacks rail transit. Researchers analyzed key busy bus station areas instead, awarding them separate grades ranging from B to D.
We can do better, Long Beach.